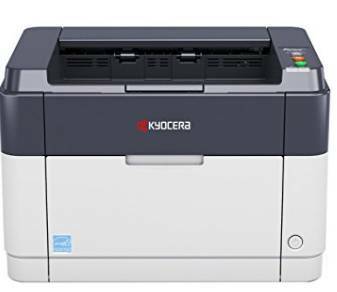 The b/w Kyocera FS-1041 laser printer is attractive due to its low printing costs and is available at a low price (about 60 – 70 Euro). But there is a problem, because the printer doesn’t seem to work under macOS 10.12 Sierra. No, he’s not. He’s not. When installing the driver from the Kyocera page I get the error message: No software to install found. Tried several times. Even after a new installation of OS X Sierra. Mac user=fingers off. And a second one confirms this apparently by stating on August 25,2017: “No, drivers on Kyocera’s website are obsolete (2014) MacOS does not work with this printer! 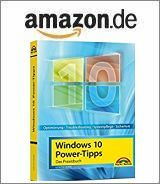 The Kyocera website contains drivers for Windows up to version 10 and Mac OS X 10.5 or later. However, an installation attempt seems to be unsuccessful. By chance I came across a post (now deleted) at administrator.de. It is recommended to proceed as follows. 1. First of all, you should download the driver (OS X 10.5 or higher_1.1201 [03-23-2012].dmg for FS-1325MFP) from a Kyocera FTP server. This is the last driver Kyocera released. Note: I’ve had published the download link, but was forced to remove it. So contact Kyocera support and nail them down to send you the direct download link for the driver FS-1325MFP OS X 10.5 or higher_1.1201 [03-23-2012].dmg – unbelievable. Just a tip: Visit this Kyocera site and look for the driver. 2. Then unpack the .zip archive file and make sure that the printer is not connected to your Mac via USB. 3. Then install the printer driver via the. dmg file. The printer can then be connected to the Mac via USB. Then it should work with printing. If there are still problems, you may find a solution in this forum thread. This entry was posted in computer, devices and tagged Driver, Kyocera FS-1041, macOS 10.12. Bookmark the permalink.